YOU ARE HERE:Home » News » Meet 2017’s Top Three Finalists! South Africa’s Beth Shirley Amato, Uganda’s Collins Hinamundi and Malawi’s Bashir Amin, were announced as the top contenders on Wednesday 20 September 2017 during a ceremony held at Google South Africa, in Bryanston, Johannesburg. Beth Shirley Amato has a special interest in the link between childhood trauma and crime and violence in South Africa. 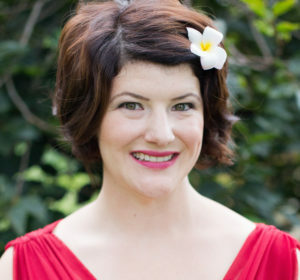 She has however written on a variety of subjects as a freelance writer and journalist. It was during Beth’s time as a communications consultant for the Social Justice Initiative that she became immersed in the world of children’s issues and their critical importance for the health of South Africa. She is a mother of two small children and lives in the diverse, charismatic and edgy suburb of Orange Grove in Johannesburg. Her home is filled with Frida Kahlo memorabilia. Her story seeks to explore child offenders who have commited violent crimes owing to their experience of complex and continuous early physical and emotional trauma. 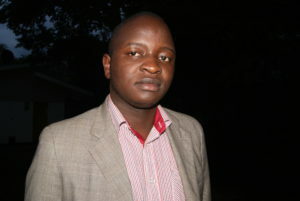 Collins Hinamundi is an Award-Winning Journalist based in Kampala Uganda, where he works as the Uganda Editor for News24Africa.com, a Pan-African news website. He is a fellow of former US President Barack Obama’s Young African Leadership Institute (YALI), and a Ford Foundation Scholar on Land and Natural resource governance. Over the last nine years, he has worked as a journalist across East Africa covering extractives, real estate, aand and economic transformation. He is passionate about issues of governance in the extractives industry, especially the rights of women and children. Colllins story will focus on exposing child labour in the extractives industry that has forced children to leave school and work in the mines in Eastern Uganda where there has been a “gold rush” in the past few years. Bashir is a Journalist working with the Malawi Broadcasting Corporation (MBC) as a senior producer and deputy head for presenters and announcers section for MBC Radio 1. He finished his Bachelor’s Degree in Journalism programme in June 2017 with Blantyre International University and is due to graduate soon. He holds a Diploma in Journalism with the University of Malawi, Polytechnic obtained in 2014. Bashir also possesses an Institute of Commercial Management Diploma in Human Resources Management obtained in 2001 and also studied Business Administration. He also holds a Certificate in Effective Farm Radio Programming with Farm Radio International, Canada and a Completion Certificate in Using Radio for Agricultural Extension by Farmer Voice Radio and the American Institutes for Research. Bashir Amin is a two-time award winner of the Media Institute of Southern Africa (MISA) Malawi Chapter Best Farm Radio Programme in 2015 and 2016 consecutively. In 2003, he won the BP Top 8 Electronic Media Best Sports Journalist Award. He is an online Young African Leaders Initiative (YALI) network member since 2015. 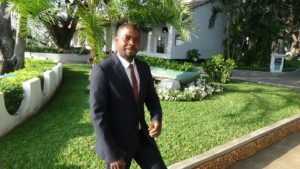 He is also a member and previously served as Secretary of Malawi’s Media Network on Agriculture (MENA) and a member of Media Advocates for the Advancement of Children’s Rights (MAACR) in which he serves as treasure for the newly established child rights media grouping in Malawi. Bashir’s story will focus on the premature end of childhood by parents and relatives who engage children, forcibly and inadvertently, in full home responsibilities that ought to be done by adults, especially girls who are forced to sell food on a daily basis to support their families. The finalist will each receive a guaranteed R10 000 to develop their story ideas for publication or broadcasting. These stories will then be ranked and each will stand a chance to win the following cash prizes: R25 000 (Overall Winner); R15 000 (Second Place) and R10 000 (Third Place). MMA Announces 2017's Top Three Finalists!